At International Virtual Learning Academy, we strive to nurture this greatest of all gifts – a passion for reading. Participation in Reading Rewards is 5% of the English/Language Arts grade. Each month a student participating in Reading Rewards from each level (elementary, middle, high school) is chosen to receive a $25 Amazon gift card. 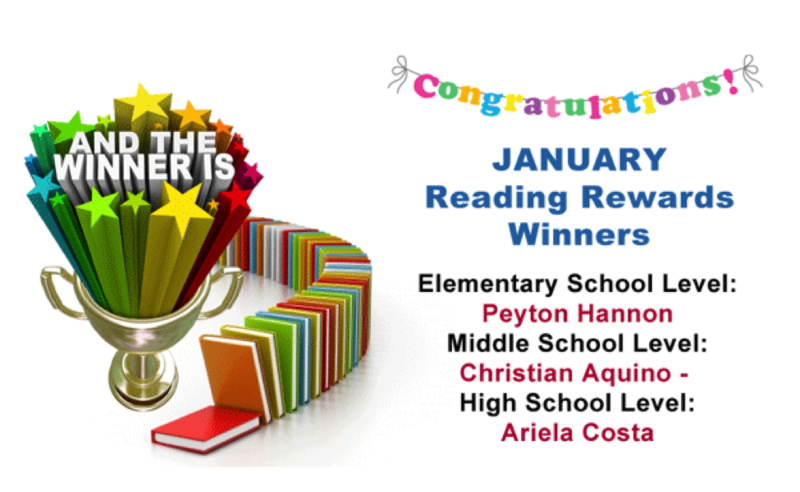 Congratulations to our January winners! Of course, the greatest prize of all is available to each and every student – a passion for reading!